Belmont is getting a new restaurant, and not just any restaurant. Pop musicians, The Jonas Brothers, and more specifically their dad, Kevin Sr., will be opening up a restaurant, slated to open tomorrow, June 13, at 11 AM. 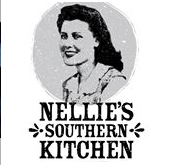 It will be called Nellie’s Southern Kitchen, named for Kevin’s maternal grandmother, and it will be located at 36 N. Main St. and will feature a lunch and dinner menu with items such as fried chicken, biscuits and gravy, shrimp and grits and housemaid pastries made by Pastry Chef Emily Pentecost. Chef Ben Sholiton, who was most recently a Charlotte catering chef, will be leading the kitchen. The Jonas family can trace its North Carolina roots all the way back to the 1760s, and had family members who worked in textile mills from the early 1900s until the late 80s. The family believes approximately 60 relatives are still living in the vicinity. Opening Nellie’s Southern Kitchen is a way to honor the family and also reinvest in Belmont. Belmont is thriving and they want to help bring even more visitors to the town. The restaurant will occupy approximately 10,000 square feet in a building that had previously been home to an antique and consignment store that was purchased by the Jonas family in 2013. While the menu will focus on comfort food and southern classics, there will also be some lighter and healthier tweaks to some southern staples. The opening of the restaurant has created approximately 100 full- and part-time jobs. Plans call for the restaurant to offer live music and entertainment as well as delicious food. The restaurant also has plans to offer a fast-casual concept called Nellies Pick Me Up starting June 20. For more information on the restaurant, visit their Facebook page at www.facebook.com/NelliesSouthernKitchen/.